Do you know what happens when you initially order the Comcast Triple Play? Your 2 years go by, then the price goes up. They’ll offer you some premium channels for free to keep you on at the higher price. Then another 2 years go by and those discounts expire. Then you end up paying Comcast $238 a month. 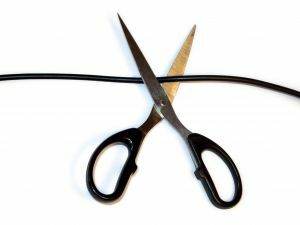 WM and I talked often about cutting the cable and just sticking with Internet. We’ve examined our options, but concluded that we’re not ready yet. But we were ready to save some serious cash. So today we cancelled the landline that we literally don’t use — we haven’t had the phone plugged in for 3 years. We also downgraded to the “Digital Starter” package which gives us all of the channels we watch except for HBO and all of the stupid music channels I got used to. And in February, our cable bill will drop from $238 to $143. It’s still REALLY hefty, but we’re going to roll that extra $100 toward our lowest credit card bill each month. Our income tax refunds will go toward creating a $1000 emergency fund. Wow, that’s pretty steep. We have Verizon FiOS with Internet, landline, and one HD box and are paying $120/mo. No extra channels–Netflix handles the “extra” stuff.